If you've cut the cord on your cable or satellite TV then you have an increasing list of choices for things you can still watch. 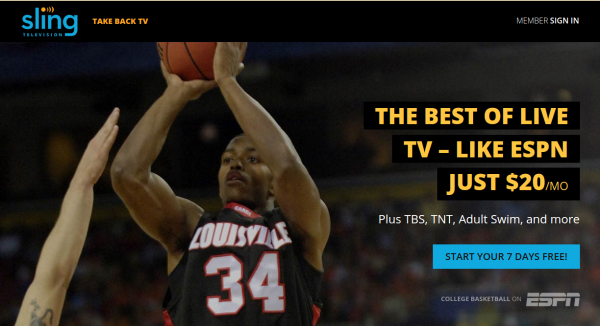 One of the newest players is Sling TV, which had a number of channels available right from the start and has since been adding more. In fact the service managed to score HBO right before Game of Thrones began its 2015 season run. Now, as a reward for customers, this weekend Sling TV will be offering free HBO to everyone. Of course these sorts of offers are also a hope that some people will decide to keep it. In that case, you can expect to add $15 to your monthly bill. Customers don't need to do anything, the channel will just begin working today and stop when Sunday is over with. Specific times are not given, however the channel was not active as of this writing. "So, what does this mean? It means you’ve got access to the weekends hottest shows, like the premiere of Amy Schumer: Live at The Apollo and new episodes of The Leftovers, Project Greenlight, and Last Week Tonight with John Oliver. Not caught up on The Leftovers? No worries! Catch up with HBO On Demand. Or, binge watch your favorite (or soon-to-be favorite) shows, like Game of Thrones, Silicon Valley, Boardwalk Empire and Veep", Sling announces. So plan for a bit of extra time on the couch this weekend. The weather is getting cooler anyway, so it's a good time to watch something.